Reds vs Marlins at 6:30 p.m. | Pregame at 6:00 p.m.
Blue Jackets at Lightning at 7:00 p.m. | Pregame at 6:30 p.m. The game is being made available to providers to air on the alternate FOX Sports Ohio cable channels. Alternate channel information can be found HERE. This game is being made available on FOX Sports GO. 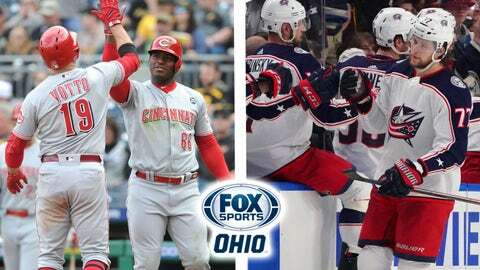 The game is being made available to providers to air on the alternate FOX Sports Ohio channels. Alternate channel information can be found HERE.